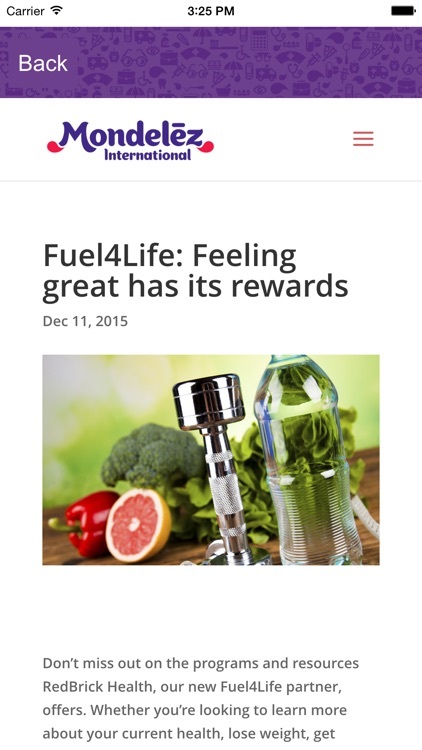 - Tips to amp up your physical, financial and personal wellbeing. - Information on tools and resources to help you maximize the value of your benefits. 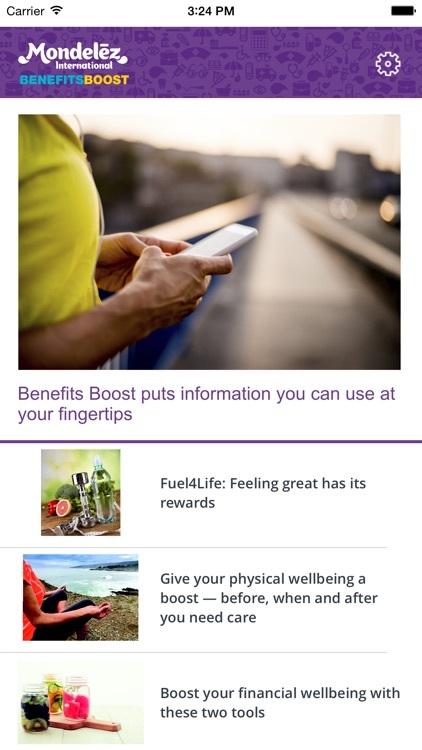 - Helpful alerts on action items, wellness incentives and more (be sure to allow push notifications so you don’t miss out). 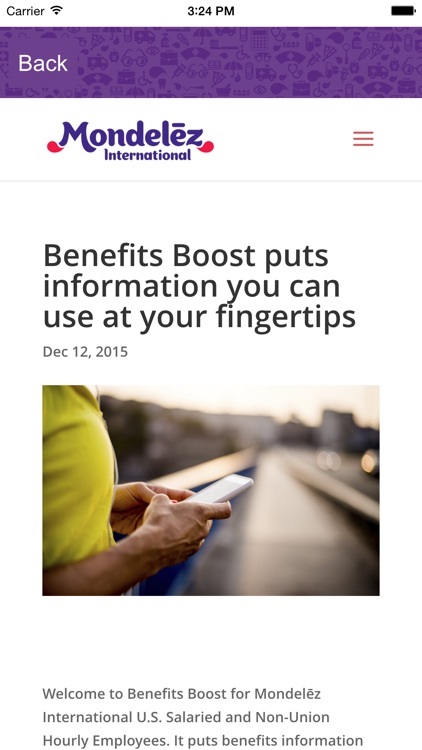 REMEMBER: Benefits Boost and the Benefits & You website make a great pair! They work together to help you stay informed. 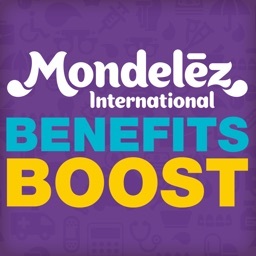 Continue to access www.mdlzbenefits.com for general benefits information, helpful articles, videos and more. 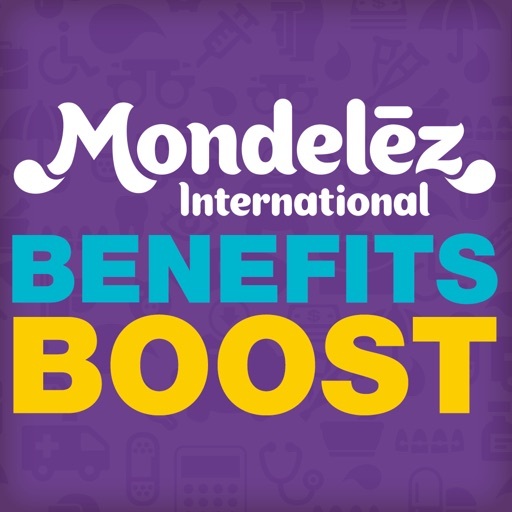 NOTE: To be eligible for contests, giveaways and more, you’ll need register by providing your name, email address and Mondelēz International work location when you first open the app.